Lionel Andrés "Leo" Messi (Spanish pronunciation: [ljoˈnel anˈdɾes ˈmesi]; born 24 June 1987) is an Argentine footballer who currently plays for FC Barcelona and the Argentina national team as a forward or winger. 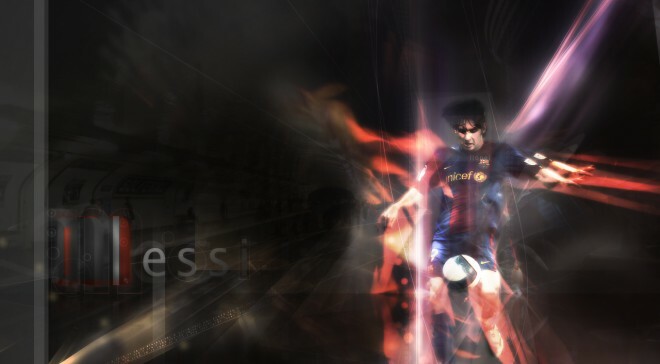 Considered one of the best football players of his generation, Messi received several Ballon d'Or and FIFA World Player of the Year nominations by the age of 21 and won both by the age of 22. He also won the 2010 FIFA Ballon d'Or at the age of 23. 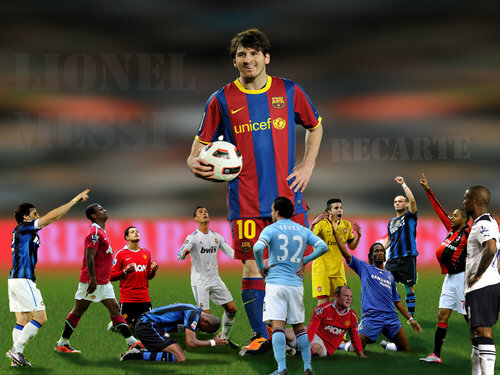 His playing style and ability have drawn comparisons to Diego Maradona, who himself declared Messi as his "successor". 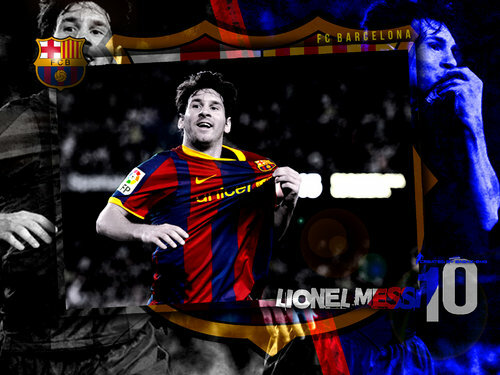 Messi began playing football at a young age and his potential was quickly identified by Barcelona. He left Rosario-based Newell's Old Boys's youth team in 2000 and moved with his family to Europe, as Barcelona offered treatment for his growth hormone deficiency. Making his debut in the 2004–05 season, he broke his team record for the youngest footballer to score a league goal. Major honours soon followed as Barcelona won La Liga in Messi's debut season, and won a double of the league and Champions League in 2006. 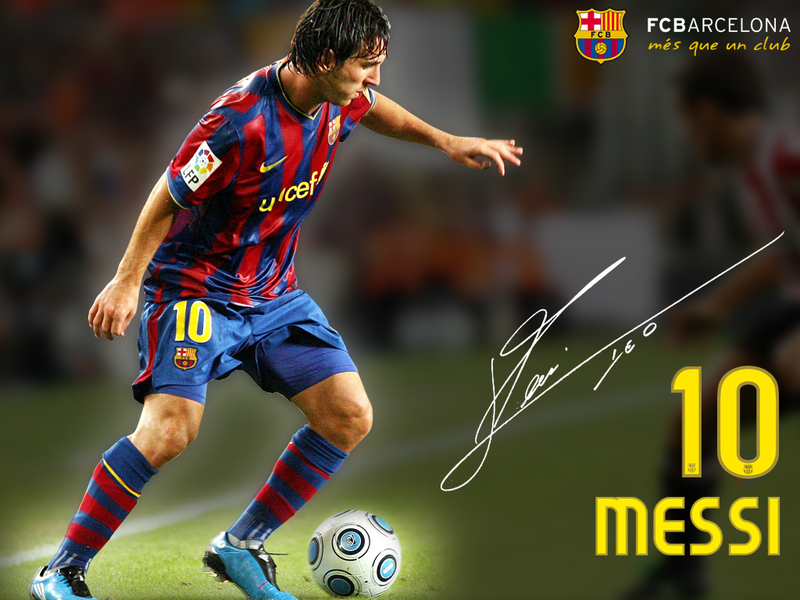 His breakthrough season was in the 2006–07 season; he became a first team regular, scoring a hat-trick in El Clásico and finishing with 14 goals in 26 league games. Messi then had the most successful season of his playing career, the 2008–09 season, in which he scored 38 goals to play an integral part in a treble-winning campaign. This record breaking season was then eclipsed in the following 2009–10 campaign, where Messi scored 47 goals in all competitions, equalling Ronaldo's record total for Barcelona. He surpassed this record in the 2010–11 season.